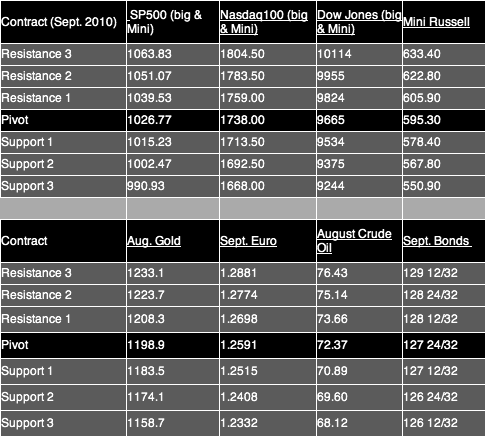 The futures markets in general had some “futures trading to make up” after the long weekend and we some strong moves and bit more volatility in variety of commodity and futures markets. 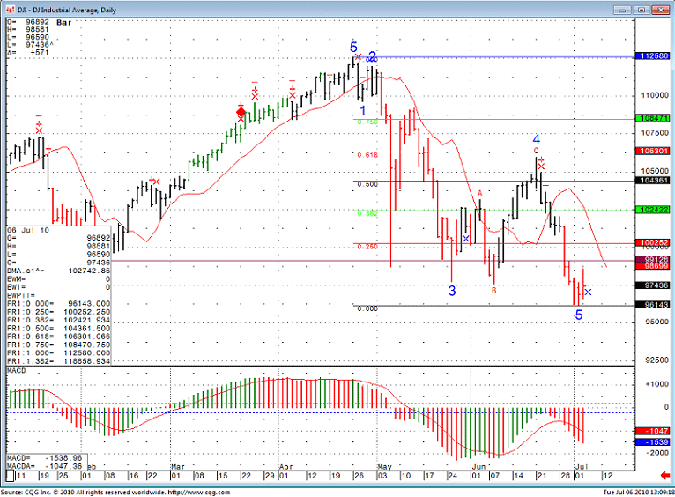 Well.. today we did see a nice rally that peaked at 612.20 on Sept. mini Russell and headed south afterwards. In today’s chart I decided to share the popular and followed Dow Jones index. Same analysis from Friday still holds. While indices may be oversold, I would like to see more follow through on the buy side instead of price failure like we saw in today’s session. 9913 is my level to watch on the Dow Jones cash index.